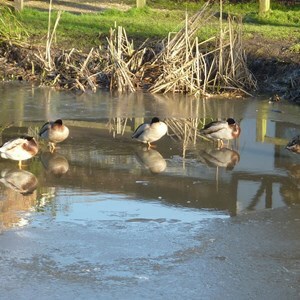 There are two ponds in Oakley today - the main one which can be seen at the top of the website and in most literature about the village, is at the junction of Rectory Road, Hill Road and Oakley Lane. We have photos of it going back more than 100 years showing the Army in the First World War watering their horses in it. It was completely rebuilt by Basingstoke and Deane Borough Council some twenty years ago. 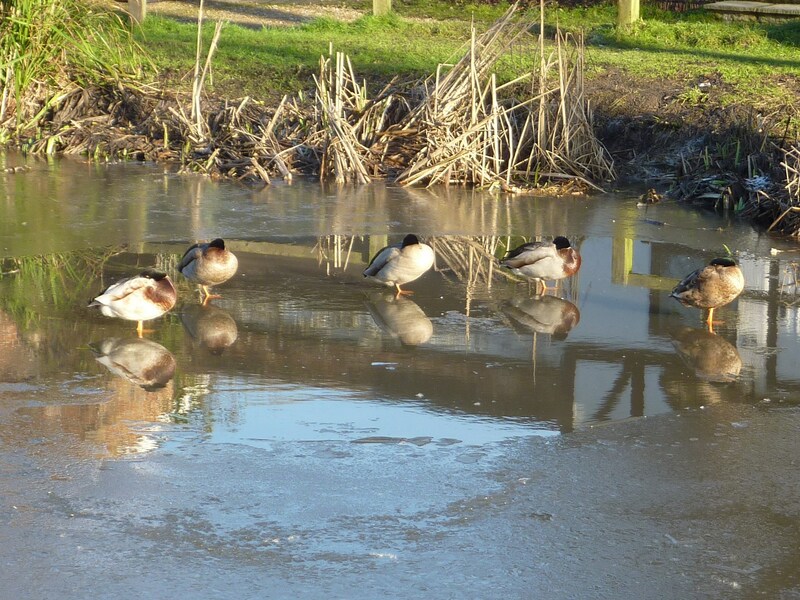 Today it is still a very popular place to sit and watch the ducks. 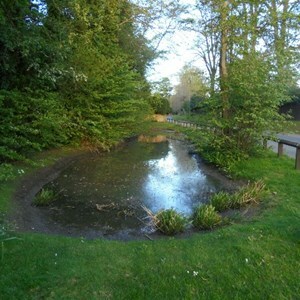 With the help of Hampshire Wildlife Trust, the Parish Council formulated a plan to regenerate the pond by removing a large proportion of the rather invasive plant and replace them with more wildlife friendly vegetation. Whilst the removal of these plants has helped, it has now been decided that, although this will improve the pond, the time has come to completely refurbish it. Advice is being sought as to the way forward and grant funding will be sought so that the whole cost does not fall on the residents. Grapes that have been de-seeded and cut in half - please ensure that grapes are not left on the ground, as they are dangerous to dogs. Cracked corn, oats and other grains. Frozen peas or sweetcorn that have been defrosted. 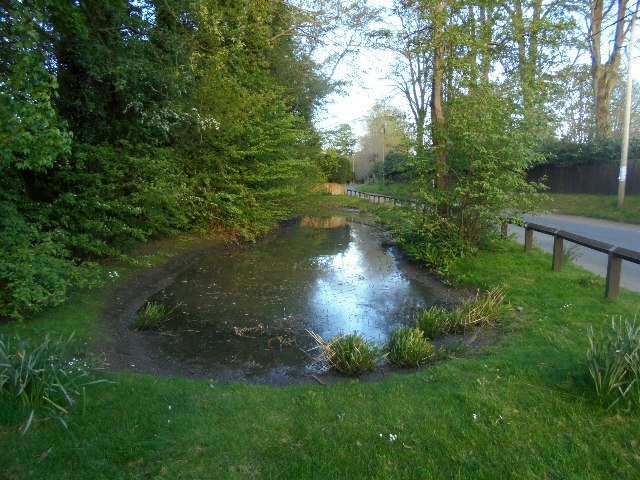 The second pond, situated in Rectory Road has always been a repository for surface water coming from further up Rectory Road and is liable to flooding during periods of heavy rainfall. 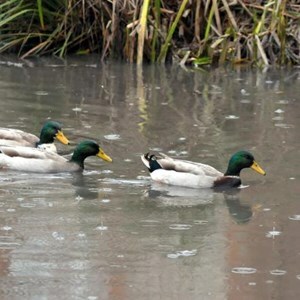 Because the water is initially coming off the land parts of the pond have become silted up. 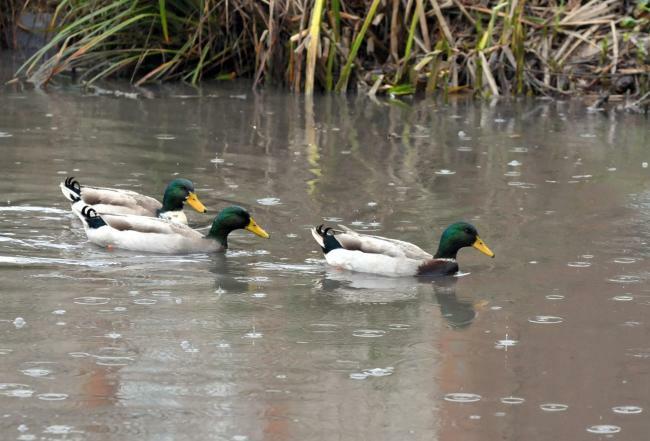 The Parish Council with the help of Hampshire Wildlife Trust have formulated a plan for revitalising the pond by removing some of the overhanging vegetation. Once this process is complete a bog garden will be planted at one end to take advantage of the build-up of silt. Being planted with spring bulbs and small trees and being sheltered by hedges at the other end end it is also a pleasant spot to sit and relax. There were however, three further ponds in the village before it was developed - one in the area of what is now the junction of Hill Road, Upper Farm Road and The Drive, the second near the shops in Oakley Lane - on what is now the junction of Oakley Lane and The Vale - and the third at Park Farm.